Boost is in the driver's a/c vent, and oil pressure is on passenger's side. I cut into the side of the vent to give them an angle towards me. Filled the gap with hot glue and zip-tied them in place. 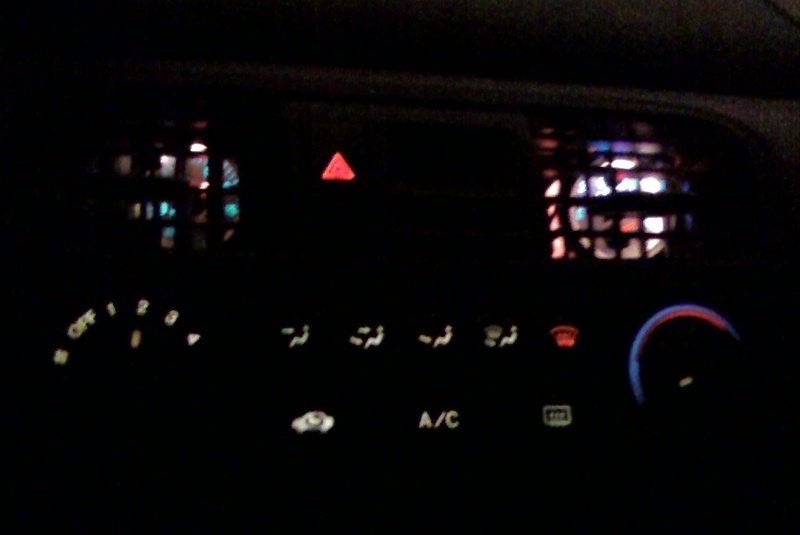 A/C still blows frosty and hard. Close the vents and you can't see ----. Open them up, and you can read them no problem. I'm probably not the first to do this, but I wanted to share in case any other Accords wanted ideas. o got to be honest... i really dont like that that much. but as long as it works and your happy with it goodjob man! That's pretty weak, you can't read the gauges! Who cares what other people think, if you need the gauge you need the gauge, in plain view. Read the ------ post. No problem reading them.That pic was taken from straight on, not from the angle of the driver's seat. Besides, I don't know about you, but I don't stare at a boost gauge as I run through my gears. A boost gauge is used to make sure you're not spiking or over boosting. If your ---- is set up right, you use the gauge to set max boost with the MBC, an occasional glance for previously mentioned situations, and that's about it. Good point. I just figured the ingenuity would be appreciated on this site.